This page is a brief introduction to the historiography of the Chinese Revolution. Historiography is the study of how history is written and the different ways in which we interpret and understand it. History is not a concrete narrative or set of facts; it is an ongoing discussion and debate about the past. Historians study the same periods, people and events – but they approach these topics with different views, assumptions, priorities and methods. Historians often reach different conclusions and form different interpretations and arguments. This is particularly true for historians who research and study major events like wars and revolutions, which are by their nature politically tumultuous and divisive. Historical understanding can also change over time, as new evidence is uncovered and new perspectives are located and considered. 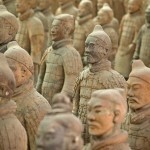 Westerners have always found China intriguing, surprising, confusing and sometimes overwhelming. China is significantly different from Western nations and societies. It has a vast population, a long history, a distinctive culture and its own particular social values. Chinese society is extraordinarily complex, filled with attitudes and beliefs that are shaped by class, status, politics, education, employment, provincial ties, ancestry and family. Until the 13th century, China existed in almost total isolation from the West. As a consequence, the political, social and economic development has followed a much different course to European nations. Non-Chinese historians have long sought to understand and explain the ‘real China’ – but the task is a difficult one. Students in Western countries like the United States, Great Britain and Australia should be alert to China’s social, cultural and attitudinal differences. Avoid making assumptions about China or Chinese history that based on your own society or your understanding of other civilisations. The concepts and values you know well may not apply so readily or neatly to the history of China. China has more than one billion people, 56 recognised ethnic groups and almost 300 different languages. 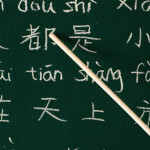 Today much of China uses Standard Chinese, a form of Mandarin, as its official language. Around 70 per cent of people speak Standard Chinese, though there are dozens of provincial languages and dialects in use. This diversity of language was even greater in the early 20th century. 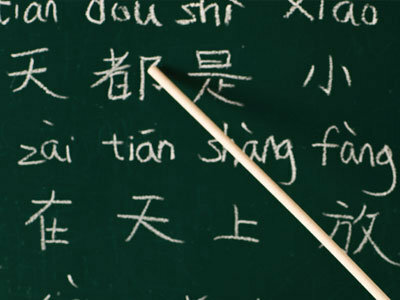 Chinese languages are considerably different to English and other Western languages. Standard Chinese, for example, has no alphabet, lacks long words and uses changes in pitch to convey meaning. This makes Chinese a difficult language for English speakers to learn and translate. These language differences can create problems for the researching historian. Some Chinese books, documents, records and oral histories may not be translated and accessible to Western historians. The translation of Chinese sources can also vary, sometimes significantly. 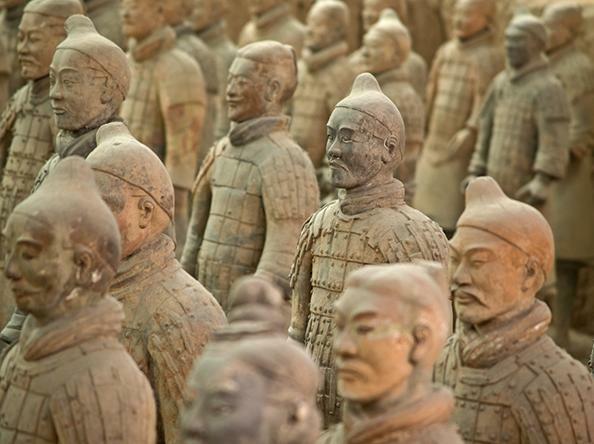 The tone or structure of translated Chinese sources can often sound different to Western historical sources. This is because Standard Chinese uses a different vocabulary, sentence structures and syntax (word arrangement) than English, making a direct word-for-word translation impossible. These problems and issues should not concern students much – but you should be aware that sources translated from Chinese may vary slightly in meaning from the original and may have an unusual tone or ‘sound’. You may also encounter different romanisations (English forms) of Chinese names, places and terms. In the 1970s Chinese leader Zhou Enlai was reportedly asked for his views on the outcomes of the French Revolution. 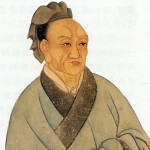 According to legend, Zhou replied, “It is too soon to tell”. This apocryphal story highlights another challenge with studying the Chinese Revolution: its comparative recentness. Revolutions are complex events that trigger many short and long-term changes. Without a good deal of hindsight, it can be difficult to study and fully understand their effects. The Russian Revolution occurred almost a century ago – but its effects are still evident in early 21st century Russia. This is even more true of the Chinese Revolution. While it is convenient to believe the Chinese Revolution ended in 1976 with the death of Mao Zedong, Zhou Enlai and Jiang Jieshi, it is not really the case. Like the wash and waves made by a powerful boat, the effects of the Chinese Revolution continue to affect and shape China today. It may be decades, even generations before we know enough about the revolution and its aftermath to fully understand its impact. Our understanding of the Chinese Revolution is further complicated by the Chinese Communist Party (CCP) and its control of the government. In other words, the group that led the revolution is still in charge of the nation and exerts control over its government, society, information and history. China has undergone some liberalisation and relaxation since the death of Deng Xiaoping in 1997, however many aspects of Chinese history remain a ‘closed book’. Most histories of China published inside China offer only Marxist or neo-Marxist interpretations. The governing CCP sanctions its own interpretation of Marxism as the orthodox and ‘correct’ view of Chinese history (not surprising, given the CCP draws its political legitimacy from Marxist theory). The CCP restricts access to archives and historical sources, both for Chinese and Western historians. 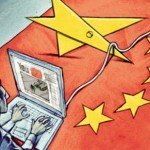 The government exercises censorship over material published in China, as well as the importation and circulation of foreign books. 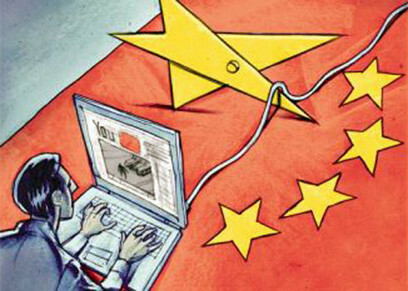 The Ministry of Public Security also operates the Golden Shield or ‘Great Firewall of China’, which monitors, censors and blocks internet traffic considered dangerous by the government. The Chinese Revolution has been researched, studied and written about by thousands of historians. Many historians have formed different arguments and conclusions and the revolution, its causes and effects and its competing ideas. Historians who share similar arguments or perspectives are sometimes grouped together in ‘historical schools’ or ‘schools of thought’. Some historians are not easily categorised or aligned with others. If you are studying the Chinese Revolution at senior high school or college level, chances are you will be asked to study or discuss different perspectives of the revolution. 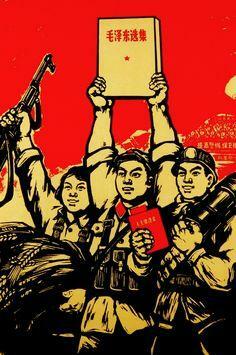 The following links describe some common historical perspectives about the Chinese Revolution. They summarise how historians from each school have tended to view particular aspects of the revolution, such as its leaders, events and ideas. 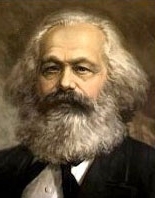 Marxist histories are influenced by the theories of German political philosopher Karl Marx (1818-83). According to Marx, human society is structured and shaped by economic factors, particularly the ownership of capital and the struggle between classes. Marx wrote that human societies progress through a series of phases: tribalism, feudalism, capitalism, socialism and communism. These societies progress from one phase to the next through upheaval and revolution. According to Marx, the revolution that replaces capitalism with socialism will be initiated and led by the proletariat (industrial working class). 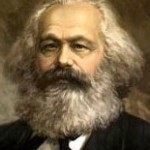 Marx’s writings gave rise to socialist revolutionary movements in early 20th century Europe. They have also shaped the views and perspectives of many historians. Until the mid 1930s, the Chinese Communist Party (CCP) adhered closely to the theories of Marx and the direction of Communist International (or Comintern) in Moscow. Marxist criticisms of materialism and foreign imperialism were popular among Chinese intellectuals after World War I. According to Soviet-Marxist theory, however, China’s small industrial base and the low number of industrial workers meant it was not ready for socialist revolution. This changed with the rise of Mao Zedong. Mao believed that China’s peasants, rather than its industrial workers, could lead and instigate a socialist revolution. 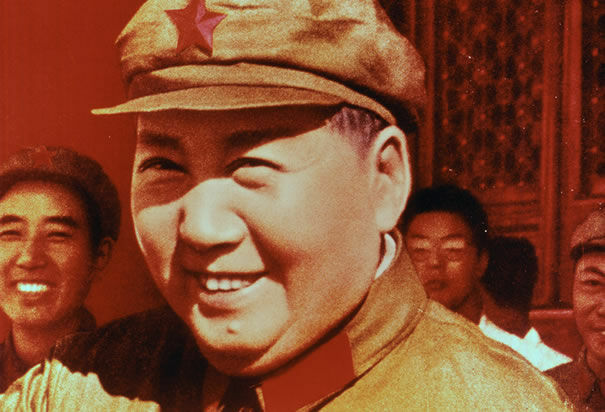 Mao formed and strengthened the Red Army with a view to seizing control of China. 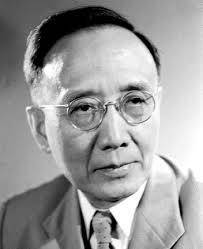 He also established ‘peasant soviets’ in Jiangxi (1930) and in Yan’an (1936). During the Yan’an period, Mao also wrote extensively and developed an ideology, claiming to adapt the theories of Marxism to the situation in China. Marxist histories of China were embraced in Stalin-led Soviet Russia, by the CCP before 1935, by Chinese historians like Kuo Mo-Jo (1892-1978) and by ‘orthodox Marxist’ historians in Western countries. Marxist histories tend to be critical of Mao Zedong and his followers. They paint Mao as a usurper (someone who seized power without adequate reason or support) or a deviationist (someone who corrupted Marxist theory). Mao claimed to be loyal to Marxism, however, he adapted or reinvented many aspects of Marxist theory. 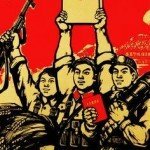 Orthodox Marxists argue that Mao bastardised the CCP, changing it from a proletarian party with an urban-industrial membership into a revolutionary peasant party. While Marxism is an internationalist movement, Mao transformed the Chinese Revolution into a nationalist event, fuelled by bitter opposition to foreign imperialism, Soviet interference and Western influences. Maoist or official CCP histories are, as one might expect, sympathetic to Mao Zedong. They portray the Chairman as a visionary leader and suggest his military, political and ideological contributions were pivotal to the success of the revolution. They promote and glorify Mao’s leadership of the Red Army, the Jiangxi Soviet, the Long March and the Yan’an Soviet. In contrast, these histories downplay or criticise the role of Mao’s rivals, such as the pro-Soviet faction that led the CCP until the mid-1930s. Maoist histories acknowledge the importance of Marxist theory – but they claim it could not have succeeded in China without Mao’s interpretation and leadership. Victories over the Japanese and the Nationalists are attributed to Mao’s ideological, military and tactical genius. The Hundred Flowers campaign is painted as a strategical trap rather than an error of judgement; the Great Leap Forward as a successful policy marred by natural disasters. 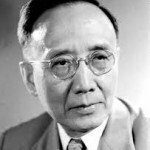 Some Maoist historians include the CCP propagandist Hu Qiaomu (1912-92), the Chinese academic Guo Morou (1892-1978) and the Chinese-Australian historian Mobo Gao (1952-). Maoist historical perspectives became even more conformist during the Cultural Revolution (1966-76). The Cultural Revolution began as a push to identify and purge “anti-socialist” ideas from art, literature and academia. This naturally included history. The Cultural Revolution was carried out mainly by the Red Guards, a mass movement dominated by college and high school students who were fanatically loyal to Mao. From mid-1966, the Red Guards pressured, intimidated and persecuted any historian or academic who did not adopt a Maoist hard line. Some historians like Wu Han, the author of Han Rui Dismissed from Office, were beaten and jailed for voicing implied criticisms of Mao. Western historiography of the Chinese Revolution was initially shaped by the politics of the Cold War. Conservative and liberal historians embraced an anti-socialist position that mirrored the policies of Western governments. They considered Jiang Jieshi and the Nationalists to be the rightful rulers of China, while Mao Zedong and the CCP were usurpers with no political legitimacy. In their view, communism was a flawed system that inflicted abuses of power, failed policies and suffering on the Chinese people. These historians painted a negative picture of Mao, condemning him as malignant dictator in the same vein as Stalin. They emphasised Mao’s reliance on coercion and violence during the Yan’an rectification (1942), the Speak Bitterness meetings (early 1950s) and the Anti-Rightist campaign (1957). The Great Leap Forward failed because Mao and his followers tried to industrialise China without understanding basic economic principles. The Cultural Revolution was nothing more than an attempt to restore Mao’s power by exploiting the personality cult constructed around him. The death of Mao Zedong in 1976 has allowed a reevaluation of his leadership – and therefore a reevaluation of the revolution. Inside China, perspectives of Mao remain largely positive. The Chairman is still venerated as the driving force behind the Chinese Revolution and the political and ideological father of the People’s Republic. While the personality cult has faded, Mao is still revered by the Chinese people and his image still looms large across the People’s Republic. Mao is no longer seen as flawless or blameless, however. The CCP’s official position, decided by the Central Committee in 1981, is that “Mao’s contributions to the revolution far outweigh his mistakes”. The ’70 per cent good, 30 per cent bad’ slogan, initially used to assess the Great Leap Forward, is often used to evaluate Mao’s leadership. Revisionist histories have delved into Mao’s errors and failings and provided their own criticisms and condemnations. Li Zhisui’s The Private Life of Chairman Mao (1994) has offered insight into the Great Helmsman’s dubious personal habits, as well as penetrating the myth of Mao’s political genius. Some historians, such as Sun Shuyun (The Long March, 2006), have investigated and dismantled long-standing communist myths about the revolution. 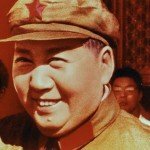 The most bitter condemnations of Mao Zedong came from Jung Chang and Jon Halliday, in their 2005 book Mao: the Unknown Story. This rendition of Mao is completely at odds with official communist accounts. Chang and Halliday paint Mao as a self-serving megalomaniac with little or no regard for anyone, let alone the peasants he claims to represent. G. Kucha & J. Llewellyn, “Chinese Revolution historiography”, Alpha History, accessed [today’s date], https://alphahistory.com/chineserevolution/chinese-revolution-historiography/.